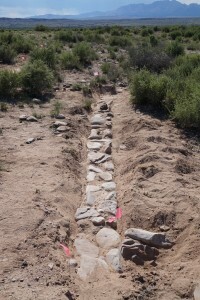 The Jornada Research Institute (JRI) has as its mission the study of the archaeological, ethnohistoric, historic and natural resources of the northern Chihuahuan Desert of Arizona, New Mexico, West Texas and adjacent regions. JRI is committed to the protection and preservation of these resources so that current and future generations may benefit from their research and educational values. JRI is represented by researchers from broad backgrounds that allow the Institute to focus on multi-disciplinary approaches while sharing and engaging the public through a variety of educational and training opportunities.